Karina's Kreations: Stampin'Up Happy Birthday Gorgeous Bundle! Stampin'Up Happy Birthday Gorgeous Bundle! I am loving this new catalog!!!! I love the stamp sets, the layout and the bright and cheery pages. I handed out my catalogs on Friday at my catty Kickoff. Buy One Get One Free party on Friday. If you need one just email me at kchin2@telus.net. I joined a bunch of swaps last month and I just got my new cards in from the All Canadian swap. I love them all and today I'm sharing a super cute card made by Sophie Ouellet. She used the Happy Birthday Gorgeous stamp set and Happy Birthday Thinlit Dies. You can get this as a bundle and save 10% #145301. I love how this set coordinates with the Balloon Bouquet punch #140609. 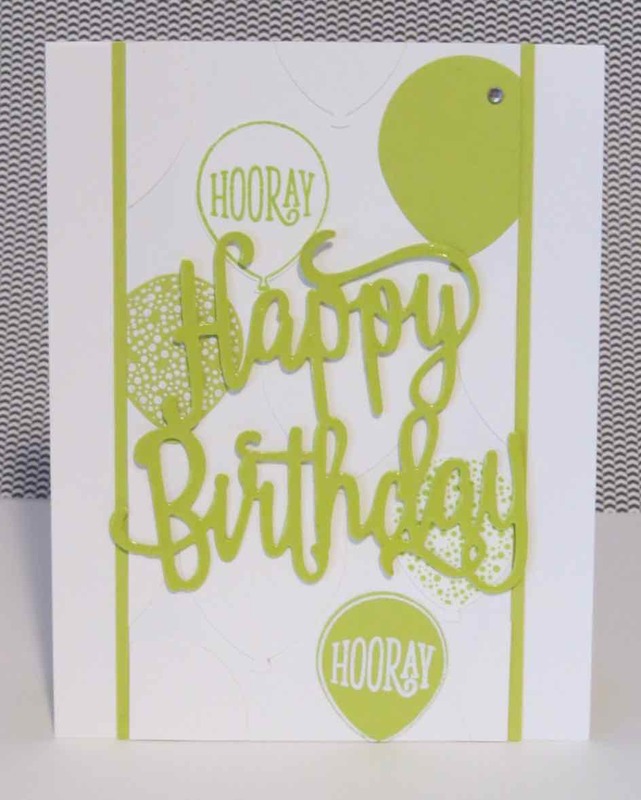 Then all you need is some Whipser White and Lemon Lime Twist card stock and Lemon Lime Twist ink to make this card. Isn't it gorgeous? If you live in Canada I would love to help you with your order. Click this link to order online!